I am The Rebellion. With these words Jetebais laments his choice to leave heaven forever. I, Jetebais is more than just a book about Good versus Evil. This book explores the concept of how human arrogance can blind one to the outside intrusion of evil. It can even fool those who we look up to as the very representation of what should be good - leaders in the worlds of both politics and religion. A Man carrying the weight of an innocent death, at the culmination of a life unfulfilled, must face his own truth. The Preacher who lost sight of the love of the Father when he allowed greed to corrupt his soul must find a path to redemption. A Civil War Soldier mired in prejudice and entitlement has to face his crimes against his fellow man if he hopes to achieve peace and rest. The Superstar struggles beyond abuse and poverty and finds success, only to realize that his golden life is built on the backs of those he trod upon on his way to fame and he must atone. All must find their answers beneath THE HEAVENLY OAK. Gripping. Award-winning. Inspirational. Unputdownable. Five Stars. - Readers' Favorite. What if your only brother turned into your worst enemy? Now he wants her dead. Putting their parents' legacy, and the world in danger. 2018 First Place Winner, CWRC Readers' Choice Literary Lighthouse Awards. Grab your copy now. It was bad enough for Violet Zendel that her twin brother hated her and avoided her like a plague because of her faith. When he became the CEO of their parents' company, she did everything she could to support his success. Then she planned a vacation to help bridge the gap between them and improve their relationship. However, when the news about a shocking event reached her ears during the trip, it shook her to her core—and led to a trail of broken hearts. Violet saw no other option but to shift her focus from pursuing corporate achievements, to preserving her family members and their legacy. But that came at a very high cost. And in the process, she is challenged by riskier choices, which demonstrate in dangerous ways, that not everything was as it seemed. Police Officer Angel Martinez was not a stranger to hard work. She had almost single-handedly guided her four siblings into adulthood and did not feel threatened when a murder case landed on her desk. Feeling confident about her ability to solve the murder, little did she know that some cases came with decades-old secrets that could tear apart the peace and unity of those she held dear. Can she solve this case without losing her life and that of her precious family members? Tim Santiago loved his career as an Archeologist. He seldom walked past old things without stopping to admire them, and he yearned for his best friend, Violet, to gain an appreciation for his profession. When events at a funeral unleashed a storm of mysterious phone calls and a dangerous chase, he quickly agreed that some old things were better left buried. But when he suddenly lost someone dear to him—and was close to losing two more—he faced a critical choice about unearthing more secrets. Was he already too late? What will happen to Violet, Angel, and Tim? If you love Francine Rivers, Terri Blackstock, and Karen Kingsbury, my fans believe that The Pete Zendel series is perfect for you to curl up with. So grab your copy and settle into a gripping page turner. 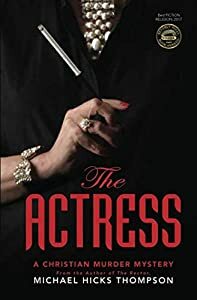 Beverly Hills Book Awards winner for Best Fiction Religion, The Actress doesn't fail to entertain. “A unique, exceptionally well written, and inherently fascinating read from cover to cover.” -- James A. Cox, Editor-in-Chief, Midwest Book Review, July 2017. “This book captures Thompson’s mastery of mystery. His ability to bring his characters to life is truly an art–you forget they aren’t real. The manner of twists he weaves through the story gives depth to the plot and has you guessing throughout the story “who did it”. You don’t want the story to end because you don’t want to say goodbye to the characters.” --Susan Reichert, Editor-in-Chief, Southern Writer’s Magazine. “I read The Actress this afternoon. It kept me in suspense until the very end! The part where Martha is playing an extra in the movie was brilliantly done. Michael's books are easy to read and so true to the South. I can't wait for the next book in this series!” -- The Movie Extra If you want to laugh, be entertained, solve a murder mystery, and learn something about God you’ve probably never considered, read this book. Early 1960s. The most famous actress in America, Talllulah Ivey, is in the Mississippi Delta to film a controversial movie. A prominent local citizen is shot and killed outside her bedroom window. A note is found clenched in the dead man's hand. The note holds the key to Ivey's guilt or innocence. Was it self-defense? Murder? Or something else? Martha investigates the who, what, and why in this twisty, suspenseful murder mystery. This story could be told only by me—Martha McRae. I’m the publisher and sole writer for the Bethel County Gazette. I also run a boarding house in Solo, Mississippi. We're just a dot on a map in the center of the Delta. Land so level and wide you could see the sun rise in the east and set in the west. Cotton and cornfields stretched as far as our eyes could see. We’d always been a speck of a town--too small for any stop signs, much less a stoplight. Somehow, Solo seemed to maintain a constant 310 souls. Births replacing deaths. Deaths. We had more than our fair share three years ago when Satan paid us a visit. You can read about those murders in The Rector. Here we are again, though, in the land of rich stories and good dirt. Only this time, there’s a celebrity in our midst. The Solo series reads like Agatha Christie and C.S. Lewis collaborated on a series of murder mysteries that include theology and an allegory. Think of Aslan in Lewis's The Lion, The Witch, and The Wardrobe. Aslan represents Jesus. Biblical characters in the Solo series are Jesus, Martha, Mary Magdalene, John the Baptist, the Apostle Paul, and Satan. 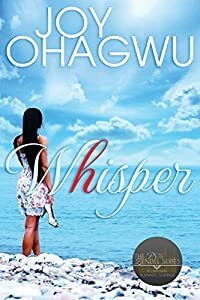 2018 Readers' Favorite Silver Medal Winner in Christian Fiction. 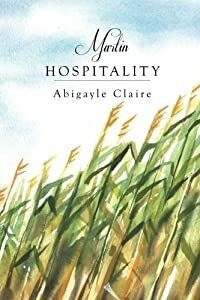 2018 American Fiction Award Winner in the Christian Inspirational category. 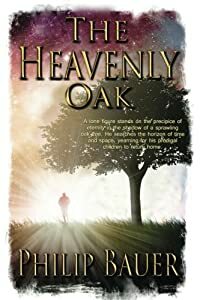 What happens to a family when the hurt gets so bad that an outsider decides to take things into his own hands and it may not be for the better? Her Good Girlis a coming-of-age suspenseful story of a whole family. Sadie suffers through her mother's home-remedies for her illnesses, hoping if she can make it to the fall when she will leave for college, then she'll be fine. Sky, a classmate, who showers her with kindness and admiration, opens her eyes that she might not live that long if her mom has her way. His solution for a happily-ever-after is not pretty. But, can she partner with Sky to hurt the mom who has hurt her for years? 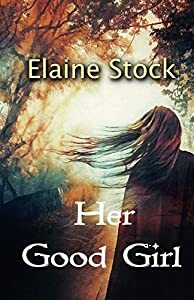 Bottom Line: Her Good Girl by Elaine Stock is poignant and riveting, a spotlight on generational dysfunction at its worst but also on God's miraculous grace. Stock tackles an intensely emotional plot with compelling prose, layered characters, a gentle spirit and always HOPE. It's gritty and real and it doesn't shy from looking abuse and mental illness in the eye and calling it for what it is. But it's also tempered with mercy-driven insights and the healing only Jesus can provide. Such a great read - one that you will be pondering for a long time! 2018 READERS' FAVORITE GOLD MEDAL AWARD WINNER IN CHRISTIAN FICTION. 2016 IPA (INTERNATIONAL PUBLISHER AWARDS) GOLD MEDAL AWARD WINNER. 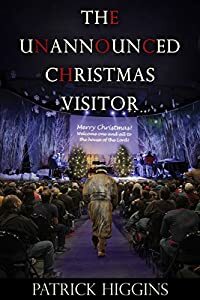 DON'T WAIT UNTIL CHRISTMAS TO RECEIVE THE ENORMOUS BLESSING THIS BOOK OFFERS TO ALL WHO READ IT! Please note that a few embellishments were made on the author’s behalf—regarding the above Scripture—that would never find their way into a non-fiction book. But make no mistake: even though the story line is purely fictional, the Gospel message weaved throughout its pages is very real. Eternally real. With that in mind, it is the author’s hope that all who read this book will be impacted more by the Gospel message than by the story itself. Be sure to read Patrick Higgins’ award-winning prophetic series titled, Chaos In The Blink Of An Eye. The sixth installment will be available soon. "This book is phenomenal. If you are someone who is intuitive, this is the book for you... I couldn't put this book down... one I will read again and again." "Truly a page-turner, engaging the reader from the first page until the last." 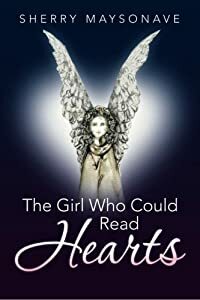 "This book weaves spiritual,mystical, and experiential themes into the most compelling family storyline ever..."
"A moving, memorable story that combines spiritual reflections with a myriad of social, political and personal conflicts... highly recommended, evocative read." A Compelling Religious Mystery with a Christian World View. 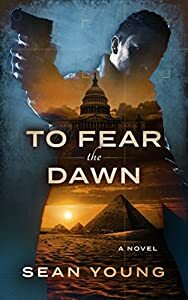 "If you like political intrigue, conspiracy in the halls of power and a sizzling plot that keeps you on the edge of your seat, then you’ll love Sean Young’s powerful portrayal of a world on the verge of cataclysm." When Nicholas Gallagher, spots an opportunity he grabs it with both hands. The self-made billionaire has just learned information that could save a lucrative business deal — but he didn’t realise his newfound knowledge would change the world as he knew it. 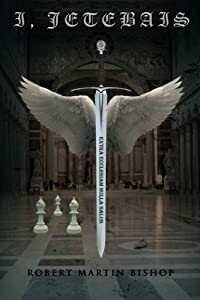 It turns out Nicholas has unwittingly crossed a dangerous group of financiers, united in a mystical faith, who have quietly taken over the banks, the media, and even the laws that could protect him. Before he can take action, his accounts are frozen and he is branded a murderer in the international press. Just when Nicholas thinks all hope is lost, help comes in the form of a priest with a sinister past. Could this canny ally be the only thing that keeps him alive? In a treacherous adventure that takes him across the globe, the former billionaire has one chance to reveal the truth, to save himself, his family, and all humanity from a holocaust that could shake civilisation to its very core. That is, until the mass abduction. The fire. The shootings. And the medieval torture. Now the FBI, Scotland Yard, MI5, and a five-hundred-year-old secret group known as the Apollo Society are searching the country for Chasen and the only student he's managed to hold on to: a kid as challenging and obnoxious as King Henry VIII himself. With a debilitating case of OCD and a panic disorder that threatens to flare up around every British memorial, Chasen is forced to confront his beliefs about conspiracy theories...and his skewed understanding of guilt and forgiveness. 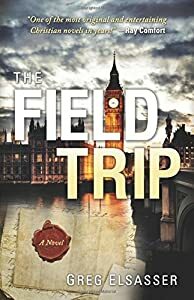 Propelled by plot twists and fast-paced suspense, The Field Trip takes readers on a humorous adventure exploring what is true in a world where things aren't always as they seem. Gemma Ebworthy is eighteen, pregnant, and alone. Now that she's been evicted, she finds herself sleeping in a barn, never dreaming that tomorrow could bring kindness of a life-changing magnitude. The Martins aren't a typical family--even for rural Kansas. With more kids than can be counted on one hand and a full-time farm, Gemma must make a lot of adjustments to fit in. But despite their many differences, Gemma finds herself drawn to this family and their radical Christian faith. When Gemma's past collides with her yet again, she must begin revealing her colorful history. With every detail Gemma concedes, she fears she will lose the Martins' trust and the stable environment she desires for herself and her unborn child. Just how far can the Martins' love and God's forgiveness go?